CollClubSports is excited to announce that they have renewed their contract with Rawlings Sporting Goods, extending their designation as “The Official Protective Equipment Sponsor of CollClubSports” through the 2022 season! As a long time partner, CollClubSports is thrilled to inform teams that in addition to those in DI, DII teams in the NCBA will now be able to take advantage of complementary equipment each year through their membership (1 set of catchers gear OR 8 batting helmets)! In addition, Rawlings will retain their sponsorship of the DI and DII All Americans along with the naming rights for the NCSA & NCBA Free Agent Teams at the Spring Training Showcase. Participating teams will be sent a survey link by the NCBA for them to choose which option they would like this summer. Questions? 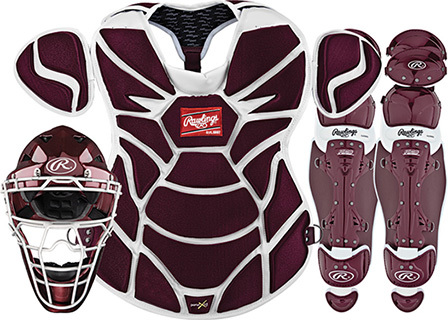 Looking to purchase any additional Rawlings gear? Please contact Trent Vallinger, Rawlings Sponsor Account Manager for exclusive NCBA pricing! He can be reached by phone at 412-321-8440 x 111 or by email at Trent.Vallinger@CollClubSports.com.